DETAILS About Presenters and Activities WILL BE POSTED SOON! 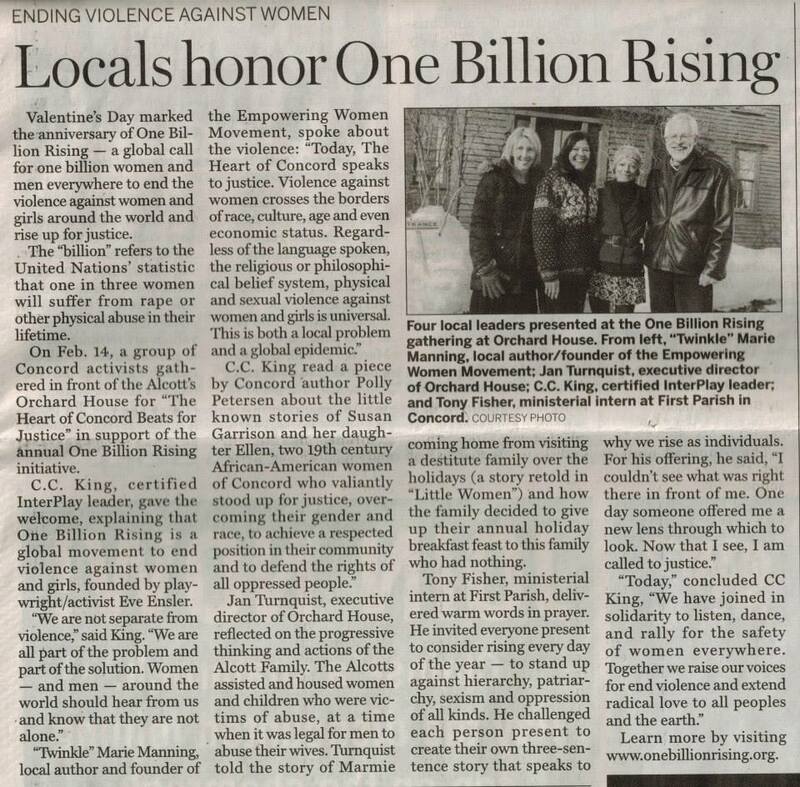 “Twinkle” Marie Manning to host CENTRAL MAINE RISING EVENT at the Pittsfield Public Library on Valentines’s Day as part of the One Billion Rising/Standing on the Side of Love campaigns in collaboration with Family Violence Project, and students of Maine Central Institute. Each year on February 14th Twinkle hosts a One Billion Rising event in combination with the Standing on the Side of Love 30 Days of Love campaign. 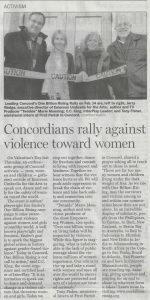 The focus of these Valentine’s Day events are to take a stand towards ending violence against women, and gender violence as a whole. 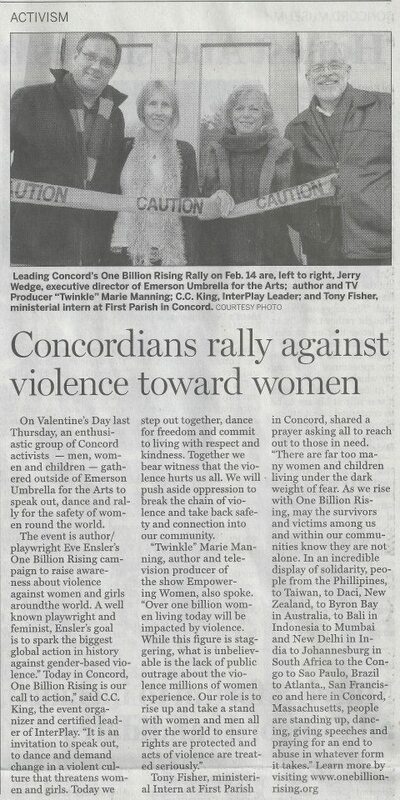 One Billion Rising is the biggest mass action to end violence against women in human history. WHY is this Rising necessary? Because of Twinkle’s deep Unitarian Universalist roots, she combine’s her Rise events with the Standing on the Side of Love campaign. Standing on the Side of Love promotes the goal of harnessing love’s power, especially to challenge exclusion, oppression, and violence based on sexual orientation, gender, immigration status, race, religion, or any other identity. To learn more about how Standing on the Side of Love manifests in local communities, visit the link here.